Upon your arrival in Johannesburg, you will be met by one of our representatives at the airport and will collect your rental car. You will then drive to the Lesedi Cultural Village. The village consists of five traditional dwellings each representing a different South African culture including Pedi, Zulu, Xhosa and Ndebele. You will be spending the night with one of the families and they will be your guides for the night. The experience will allow you to gain insight into the similarities and differences between the different cultures in the country. After breakfast you leave for the platinum town of Rustenburg for your first Boer War experience. 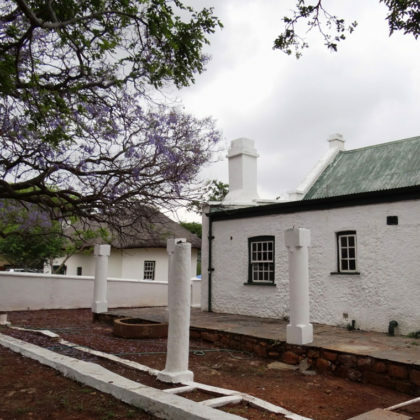 You will visit the historic farm Boekenhoutfontein of former South African president Paul Kruger. The Royal Bafokeng and Tswana were conquered by the Matabele in the early 1800s. The Boers were also fighting the Matabele and Zulu and so the Bafokeng became their allies and together defeated the Matabele. After the war they founded Rustenburg meaning “place of rest”. One of the oldest Boer settlements in the north, Rustenburg was the home of Paul Kruger, president of the South African Republic. The homestead on his farm is now the Paul Kruger Country Museum and this is well worth a visit today. When the Boer and the British came to blows in the Second Boer War (1899), the territory around Rustenburg became a battlefield. The two sides clashed famously at nearby Mafikeng, where the British garrison found itself under siege for months. 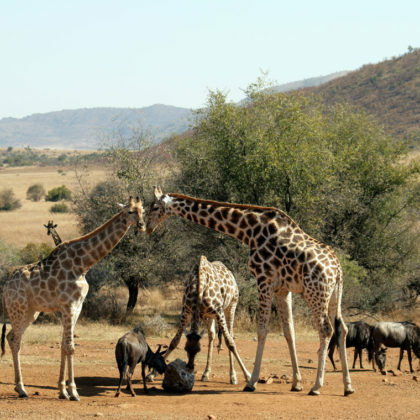 Today we suggest that you go on the optional game drive in the nearby Pilanesberg Game Reserve and visit Sun City which is just 21km away. 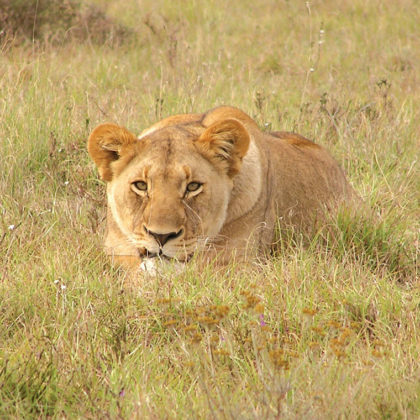 In an open 4×4 vehicle accompanied by an experienced local guide you will seek out the wildlife of Pilanesberg, including the Big Five (lion, leopard, rhino, buffalo and elephant). Alternatively, you can spend some more time exploring the battlefields around Rustenburg. Travel to the beautiful town of Parys in the Free State. En route you can visit the town of Potchefstroom, site of the first shots of the first Boer War, and then stop at the English Klerksdorp concentration Camp during the second Boer War. Then visit the site of the battle of Rooiwal just outside Klerksdorp .It is not clear when Klerksdorp camp was formed, but Emily Hobhouse believed that it was in existence by the end of 1900. The camp was located just south of the town and was tidily laid out in the neat rows the British preferred. It was unfenced until almost the end of the war and the fences were erected only to keep out marauders. 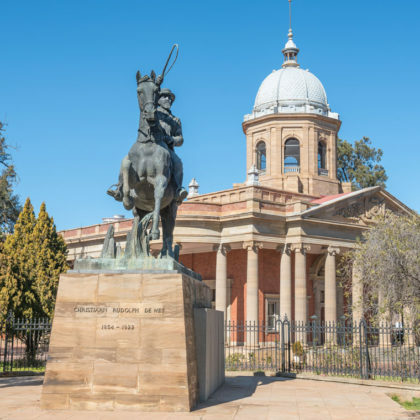 After breakfast you leave for Bloemfontein also called the city of Roses .Bloemfontein hosts remembrance of some of the Highs and Lows of the first and second Boer Wars. Visiting the “Vroue” monument and War museum will provide insight into these wars. Bloemfontein is the judicial capital of South Africa. In 1900 the British captured the city and built a concentration camp outside the city. The National Women’s Monument pays homage to the 26,370 women and children who perished in the concentration camps. We suggest you visit the Anglo-Boer War Museum one of the most comprehensive exhibits on the second Anglo-Boer War. 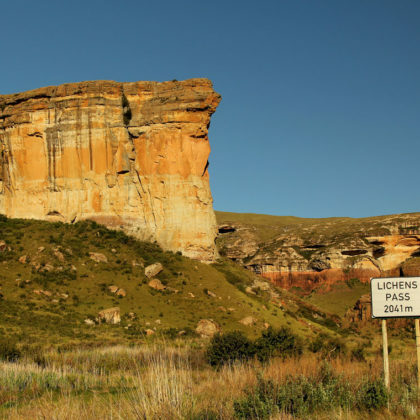 Today you will drive to the Golden Gate National Park and learn about the Basotho culture. Follow your guide’s footsteps into the “khotla”, the gathering place of men. Accept the Basotho hospitality by taking a sip from the traditional beer offered and then listen to the Rangoon and lesiba and engage in a game of marabaraba. 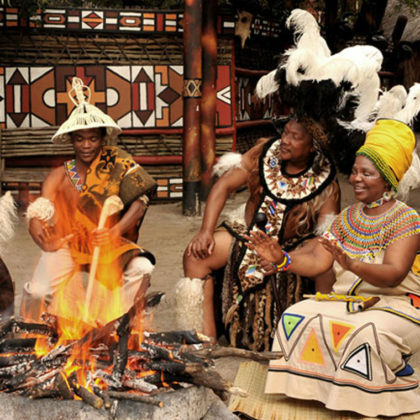 A traditional healer will give a demonstration of their traditional beliefs. You will enter the beautifully painted and decorated home of one of the wives and learn about their daily lives. 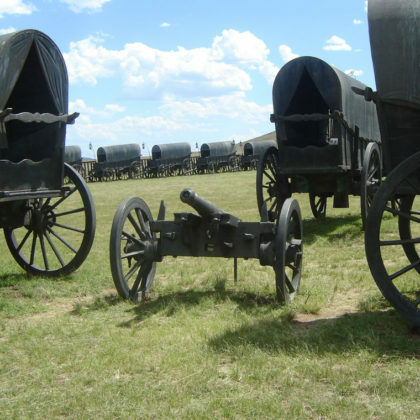 Travelling further southwards you will arrive at the KwaZulu-Natal battlefields. 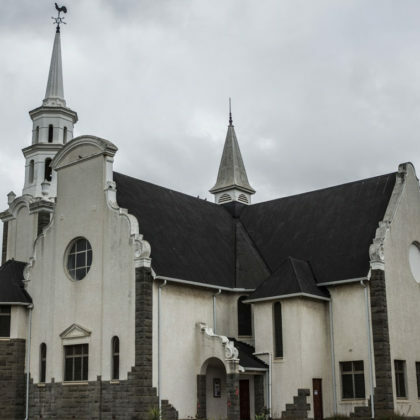 Stop at the town of Ladysmith which made world headlines at the end of the 19 century when it was under siege for 118 days during the Anglo-Boer War. Visit the Siege Museum for an excellent diorama of the Ladysmith field operation. You can see the Churchill Monument where a young Winston Churchill was captured and stop at the Clouston Military Cemetery and the Gun site where the Boers captured 10 artillery guns from the British at the Battle of Colenso. You will then travel to Rorkes Drift, the site of another great battle where you will spend the next two nights. Today you will enjoy a guided tour of the Battlefields of the famous battles at Blood River, Isandlwana and Rorkes Drift. At the battle of Blood River 470 Voortrekkers held out and defeated between 15,000 and 20,000 Zulu with the loss of 3 pioneers and this is why Afrikaners to this day celebrate the Day of the Covenant. At the battle of Isandlwana the British suffered one of their worst defeats in colonial history against the Zulu Nation. 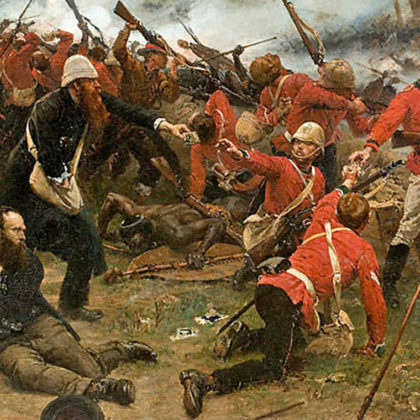 The bloody battle lasted a full day, and only 74 of the 1500 original British force survived. On the same day at Rorke’s Drift just 139, mostly wounded British soldiers held off 4,000 Zulu warriors. Lastly we suggest you visit the Ulundi Battlefield, the final battle of the Anglo-Zulu War which ended with the capture of the Zulu King Cetshwayo. Pietermaritzburg is your destination today. On your way you can visit the capture site of Nelson Mandela and the Howick Falls. 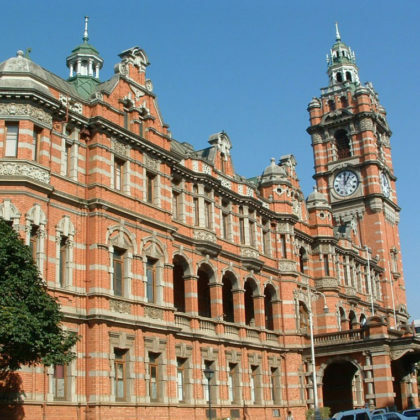 Pietermaritzburg is also famous for an incident early in the life of Mahatma Gandhi. On 7 June 1893, while Gandhi was on his way to Pretoria, a white man objected to Gandhi’s presence in a first-class carriage, and he was ordered to move to the van compartment at the end of the train. Gandhi, who had a first-class ticket, refused and was thrown off the train in Pietermaritzburg. Shivering through the winter night in the waiting room of the station, Gandhi made the momentous decision to stay on in South Africa and fight the racial discrimination against Indians there. Out of that struggle emerged his unique version of nonviolent resistance, Satyagraha. Today, a bronze statue of Gandhi stands in Church Street, in the city centre. 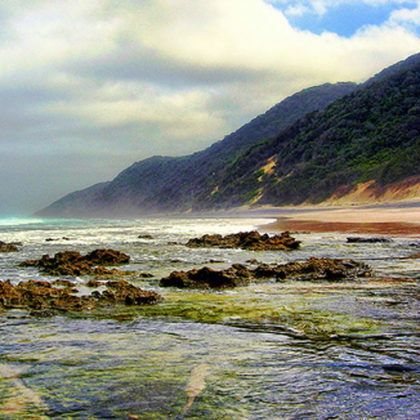 Today, you will travel through the rolling green hills of sugarcane to the town of St Lucia where in the afternoon you will enjoy a relaxing boat cruise through the UNESCO World Heritage Site of the iSimangaliso Wetland, where you can see many crocodiles, hippo and a plethora of birdlife. Enjoy sundowners while listening to the haunting cries of the fish eagle. 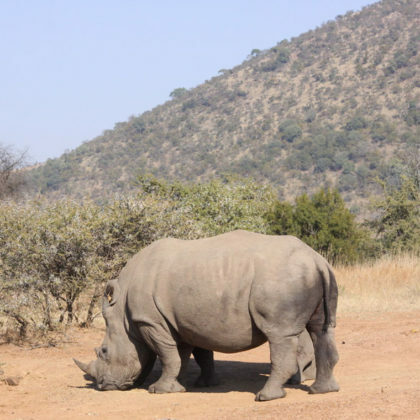 On this day we suggest that you purchase the optional game drive into the Hluhluwe Imfolosi National Park and enjoy a game drive in an open 4×4 vehicle accompanied by an experienced local guide who will help you track down animals including the Big Five. The Park is known as one of the last refuges for black and white rhino. Today you will start to travel back to Gauteng on the national route the N3. Leaving the N3 you will stop for the night in the town of Piet Retief near the Swaziland border. The towns namesake was killed by the Zulu king Dingane for trying to settle in Zulu lands. 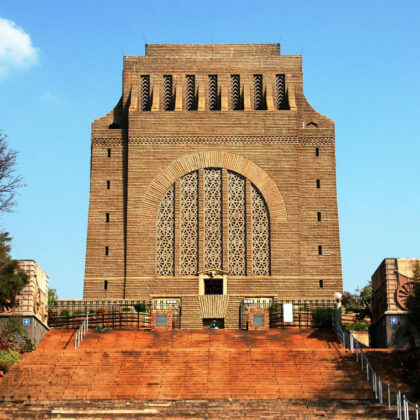 Arriving in Pretoria you can visit the Union Buildings, Church Square and the Voortrekker Monument to mention a few of the many attractions of the city. 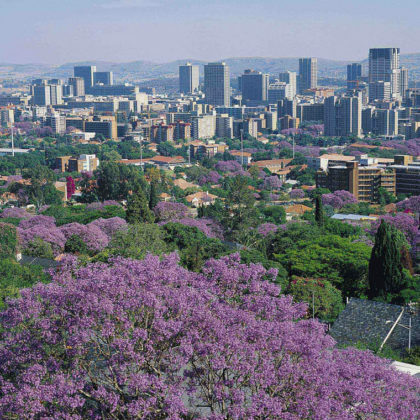 Pretoria is also called ‘Jacaranda Stad” meaning city of the jacaranda tree for the many trees which line its streets colouring the city purple between September and December each year. 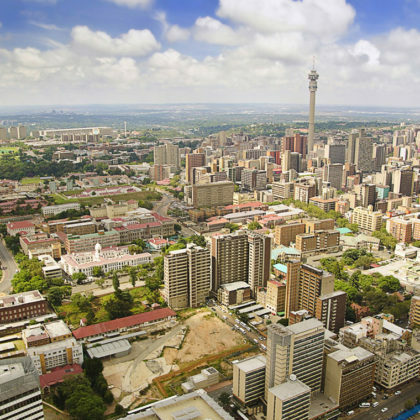 Pretoria is one of South Africa’s three capital cities and is the de facto national capital of the country. During the Boer War of 1899 to 1902, the city was surrendered to the British, despite being surrounded by four forts to defend the city, including Fort Wonderboom. This war, however, was ended by the signing of the Treaty of Vereeniging which took place on 31 May 1902 in Melrose House. Today after checking out of your accommodation our Representative can take you on a highly recommended optional half day tour to SOWETO South of Johannesburg, the world’s most famous township and an important monument to Apartheid. More information is in the information section of the tour.